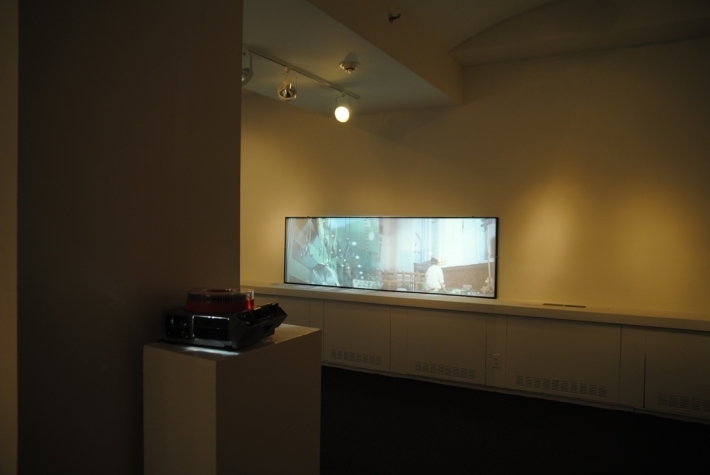 Site-specific Installation, part of the solo exhibiton ‘Morgana Plains, from silver to gold’ at Artswestchester, White Plains (NY). 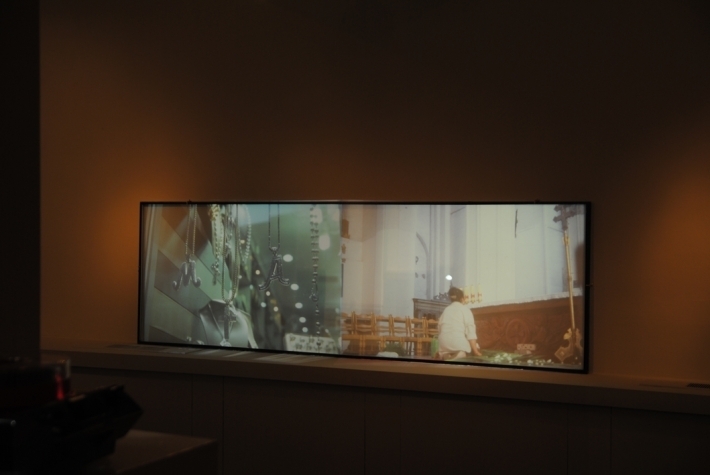 'Morgana, Plains, from silver to gold' by visiting artist Wineke Gartz of The Netherlands is a site-specific multi-media installation that incorporates video and slide projections on glass, drawings, mirrored reflections, sound and light. To create this translucent tapestry, Gartz has been in residence at the Arts Exchange in White Plains capturing images of New York and the Hudson Region, juxtaposing them with archival material. 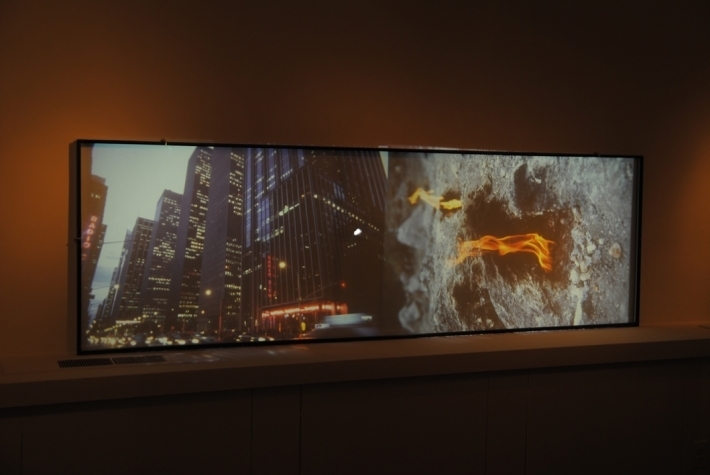 The centerpiece of the exhibition is a huge, low glass tableau, approximately 20 feet long x 14 feet wide, placed in the center of the gallery, upon which video images are projected. Gartz envisions the piece as akin to a massive carrying tray for images facing skyward, which, although grounded, unite the earth and sky. 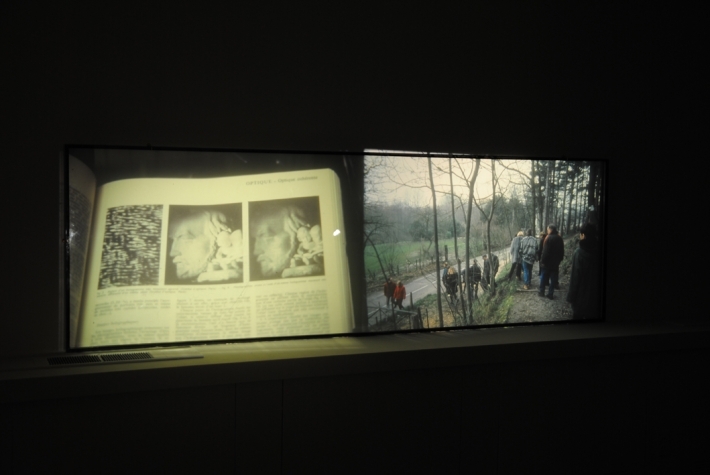 Of the title she chose for this exhibition, Gartz explains that the word ‘Morgana’ comes from the phrase ‘Fata Morgana,’ which in Europe is frequently used to refer to a mirage that weary travelers will see in a desert. 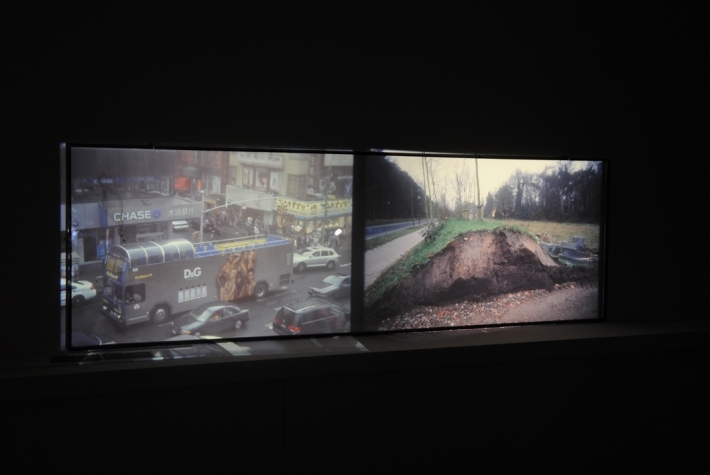 By using only half of the phrase, she seeks to suggest a fragmented mirage that does not literally reveal itself, but invites the viewer to observe it carefully and contemplate its meaning. Although she does not seek to confine viewers in their interpretations, Gartz contends that these fragmented ‘mirages’ highlight the ‘duality of opposites’ which is a concept that is central to her work. Wineke Gartz is known for creating installations which relate to the site-specific architectural environment. 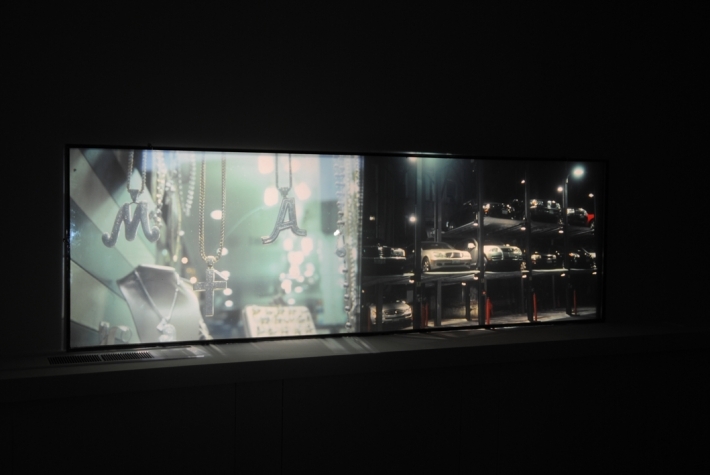 Her installations draw upon the filmic qualities of light and shadow that are inherent in video art. At the same time, the spectrum of vibrant hues which she employs in these pieces recalls her early career as a painter.